Learn words for some of the crafts in Vagahau Niue. 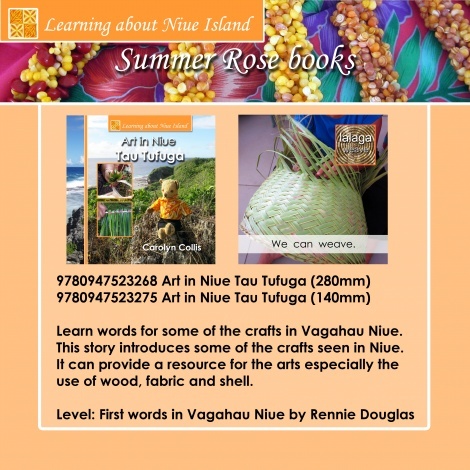 This story introduces some of the crafts seen in Niue. It can provide a resource for the arts especially the use of wood, fabric and shell.